I AM سے طرف کی INFINITY AND BEYOND TINKERBELL'S ABSOLUTE BIGGEST EVER NUMBER 1 FAN!!! NO MATTER WHAT!!!!!!. 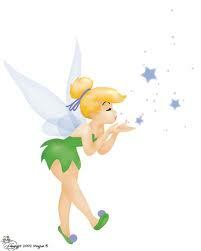 I AM DEFENITLEY TINKERBELL'S BIGGEST EVER NUMBER 1 FAN!!!!!. Wallpaper and background images in the Tinkerbell club tagged: tinkerbell fairy character disney i am by infinity and beyond tinkerbell's number 1 biggest ever fan!!!! no matter what 4 ever!!!!!!!. لفظ مطلوبہ: tinkerbell, fairy, character, disney, i am سے طرف کی infinity and beyond tinkerbell's number 1 biggest ever fan!!!! no matter what 4 ever!!!!!!! NO OFFENSE BUT THAT WAS ALL TOTALLY 100000000000000000000000000000000000000000­000­000­000­000­000­000­000­000­000­000­000­000­000­000­000­000­000­000­000­000­000­000­000­000­000­000­000­000­000­000­000­000­000­000­000­000­000­000­000­000­000­000­000­000­000­000­000­000­000­000­000­000­000­000­000­000­000­000­000­000­000­000­000­00% TRUE TRUE TRUE!!!!! AND I AM THEE ACTUAL TRUE BIGGEST EVER NUMBER 1 FAN OF TINKERBELL MORE THAN mollytinks1fan (NOT Tinks 1 fan) IMPERTICULAR!!!!!! !